The Mortons Urban Solutions NSW office offers Civil Engineering, Town Planning and Project Coordination services for a range of projects (residential, industrial and commercial) of varying size and within different localities in northern NSW. 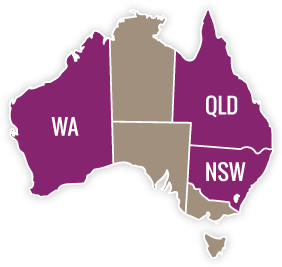 Mortons has a working knowledge of standard guidelines and legislative frameworks, particularly in the northern NSW regions encompassing Tweed, Byron and Ballina local government authorities. This ensures processes are streamlined for greater project efficiency and outcomes to the client. Mortons are specialists in the detailed design, approval, tender, contract administration and on-site supervision of civil engineering works. The below breaks down the full scope of services provided. Mortons also has the capability to coordinate and assess all other specialist engineering inputs (including traffic, geotechnical, electrical, environmental and hydrological) associated with a project. Mortons are a proactive consultancy who recognise the importance of their involvement at all stages of a project. This optimises efficiency and design outcomes for the client, whilst creating sustainable and cost effective infrastructure that adds value to any project. Supported by civil engineers and CAD designers, Mortons is able to offer a range of town planning services from site investigation right through to managing the development assessment process. This includes negotiation with councils and state authorities. Mortons’ capabilities also include Project Coordination. This encompasses all key aspects of the project from inception through to completion. By adopting a hands-on approach to the coordination of a project, Mortons is able to ensure the desired outcomes are delivered on time and on budget, whilst keeping the client well informed throughout.